Laura Risk grew up in the thriving San Francisco Scottish fiddle scene of the 1980s and 90s, learning her craft from acclaimed fiddler Alasdair Fraser. 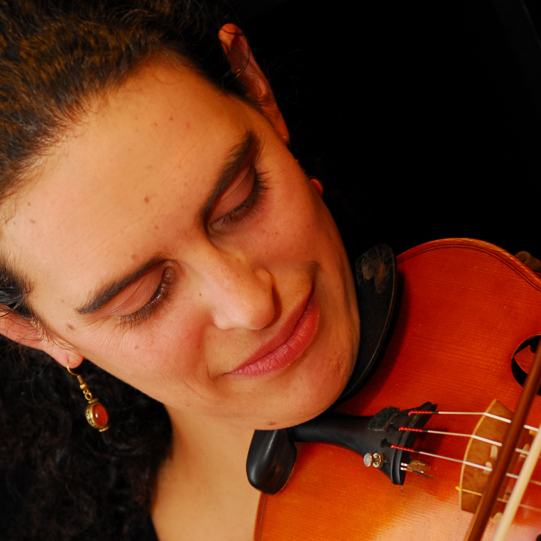 Laura performs and teaches internationally when not home in Montreal, where she is finishing her doctorate at McGill University and teaching the undergraduate course “Fiddling and Beyond” (the first university-level course of its kind in Quebec). Laura has over a dozen albums to her credit on which she teams up with some of Quebec’s hottest traditional and jazz musicians for a new take on tunes from the great Scottish collections of the 18th and 19th centuries. Known as an inspirational teacher, Laura has taught fiddling at numerous summer camps and was an Instructor of Fiddling for five years at Wellesley College. She is a co-author of The Glengarry Collection: The Highland Fiddle Music of Aonghas Grant (Mel Bay, in two volumes) and was recently awarded a Prix Mnémo for her co-production of the community CD Douglastown: Music and Song from the Gaspé Coast. Laura is thrilled to be returning to CAMMAC again this year!